Turn a lackluster unfinished basement into a must-see space. 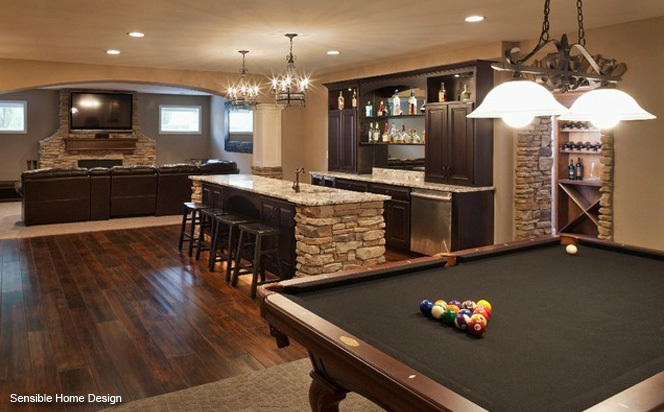 The staff at Paragon Design & Construction can take your basement from dull to spectacular. Do you work from home? Imagine the comfort and convenience of a quiet, customized office in the lower level of your house. Are you a fitness enthusiast? Take it to the next level with your own personal game room and home gym. Your basement is a blank canvas. Work with our talented designers at Paragon Design & Construction to make it a masterpiece. Call us today to set your plan in motion.